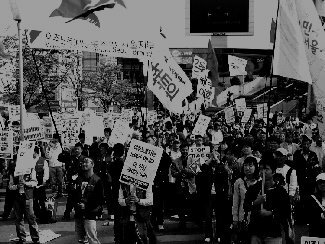 Today as the Korean government is resting it's laurels in their "so-called" success of the EPS, thousand upon thousands of migrant workers are still being abused and exploited by their employers. An exploitation perpetuated by a flawed system that got it's recognition and award through deceit and false presentations. All of the multi-cultural programs, photo-shoot, and the testimonies from gullible and handsomely rewarded few are just tools that the government utilizes to paint a different picture that is far from the reality of our sufferings. During yesterdays workshop. The government representative says it is enough to compensate us for the duration of our stay in Korea. Despite our contributions to the economy and society, once they have used us up and we have outlived our usefulness as laborers we will be treated like any other old broken down machine who has out-lived our usefulness. 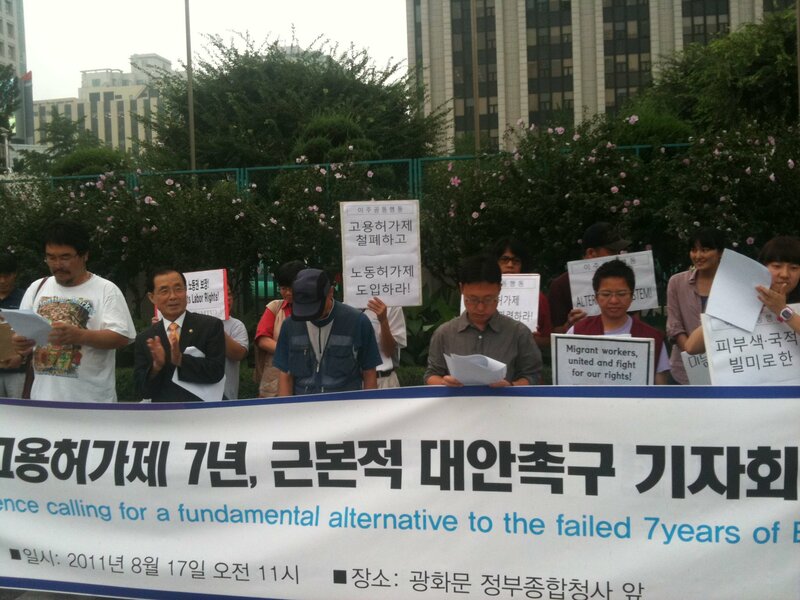 It doesn't matter if we have spent the prime of our life in contributing to Koreas' industry. It doesn't matter whether we have paid our taxes or became consumers and patrons of their local market. No matter what contribution we have made we will still be thrown back, broken and useless in our own countries, with our own families. When we first came here we already know that the work would be difficult, dirty and dangerous, but we were told that as workers we will be protected. The reality is different from our expectations. We are being constantly exploited as workers and the EPS is the very sytem that allows for our exploitation. It is this system and the lack of enforcement of the laws that fails to protect the migrants as well as local workers. WHILE THE GOVERNMENT KEEP ON INSISTING ON THE THREAT OF MIGRANTS TAKING AWAY JOBS FROM KOREANS. THEY ALSO INTRODUCE THE RESTRICTIONS AND CREATE UNFAIR CONDITIONS FOR MIGRANTS TO KEEP OUR LABOR CHEAP AND KEEP THIS LABOR SECTOR PRECARIOUS. IT IS THE GOVERNMENT WHO CREATES UNFAIR COMPETION FOR WORK BECAUSE AS THE MIGRANTS LABOR STANDARDS ARE KEPT VERY LOW, STANDARDS FOR KOREAN WORKERS, AND ALL WORKERS FOR THAT MATTER, WILL NEVER RISE TO A DIGNIFIED LEVEL. 7 YEARS OF EXPLOITATION UNDER THE EPS IS ENOUGH. IT IS TIME TO CHANGE THE SYSTEM.